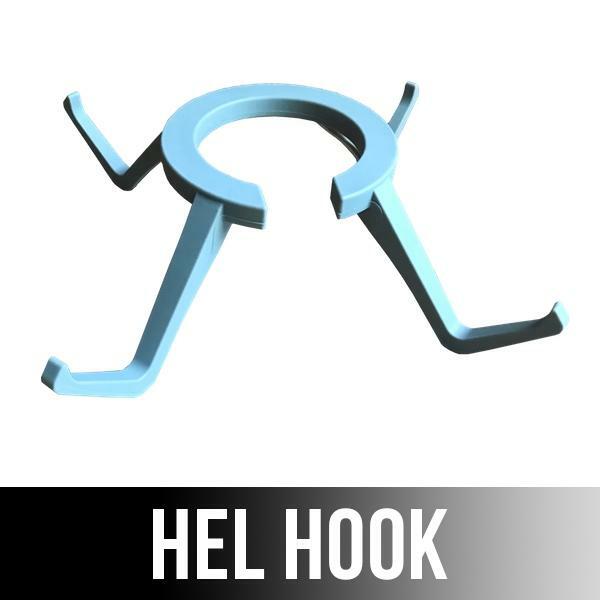 Ever heard of a Helhook..what in the Heck is it? The "Hel" in helhook is short for helmet as in welding helmet. 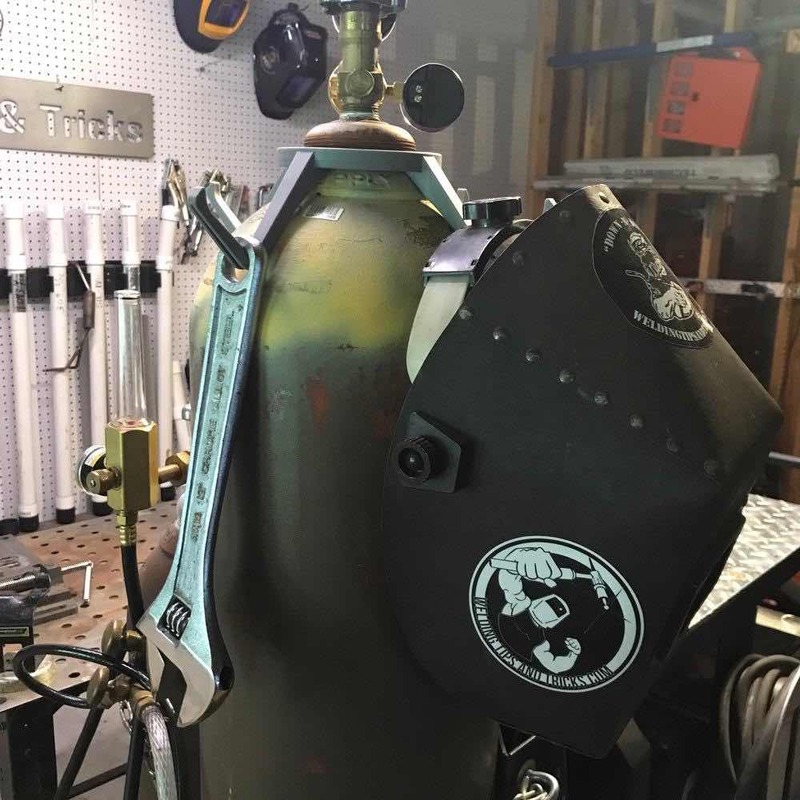 ...and so the helhook is a hanger for your welding hood, wrench, and whatever else you need to have at arms reach and readily visible. 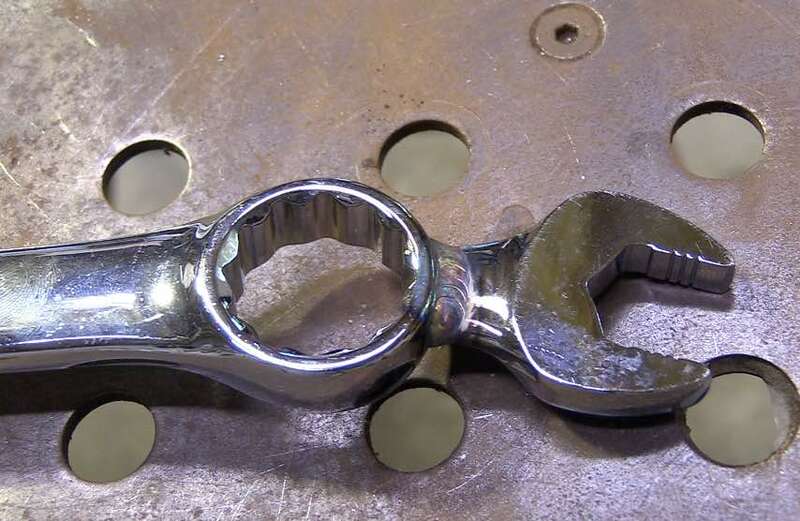 I am always searching for my adjustable wrench to swap out cylinders or to attach argon hoses when I switch welding machines. I am sure I swap out welders more than most folks because I make welding videos and people are interested in seeing all different brands of welders. I was tired of always looking for my big adjustable wrench So I decided I would get some cheap open wrenches and weld them together in a way that everything I need will always be hanging on the cylinder. for the most part, the large nut that you used to attach a regulator to the cylinder is 1-1/8” and the smaller shielding gas fitting is 11/16” so I got some wrenches on sale that I don’t mind cutting up and welding. When Im done, I will hang it on the helhook and since it will be a dedicated wrench hanging on a hook with the welder, I should always be able to find it. So the wrenches I got for this video are made in Taiwan and say chrome vanadium steel on them. What is chrome vanadium steel? Chromium and vanadium both make the steel more hardenable. Chromium also helps with corrosion resistance. What filler rod should you use to weld chrome vanadium steel? It really depends on the application and how the part being welded needs to perform in service. In this case, I know its a simple wrench that will not be under a whole lot of load. It will strictly be used for loosening and tightening brass fittings on my flowmeters. So I could absolutely weld it with er70s2 or er70s6 as long as I am careful to avoid crater cracks by tapering amperage. I could use hastelloy W and since I have welded many wrenches like this with hastelloy W, that would be a great choice. ER309 is designed to weld carbon steel to stainless steel. And because of that it contains more chromium and nickel than 308L stainless rod to allow for dilution that takes place during welding. The high chromium and nickel content also make it a great choice for welding chrome vanadium steels because 309 filler won’t Harden or get brittle from mixing with carbon. Er70 filler rods on the other hand can pick up carbon and Harden.